We plan to update the nutrient management guidelines for the popular new hazelnut varieties being planted. Existing guidelines are outdated and were developed for Barcelona, a less frequently planted variety that is susceptible to Eastern Filbert Blight. 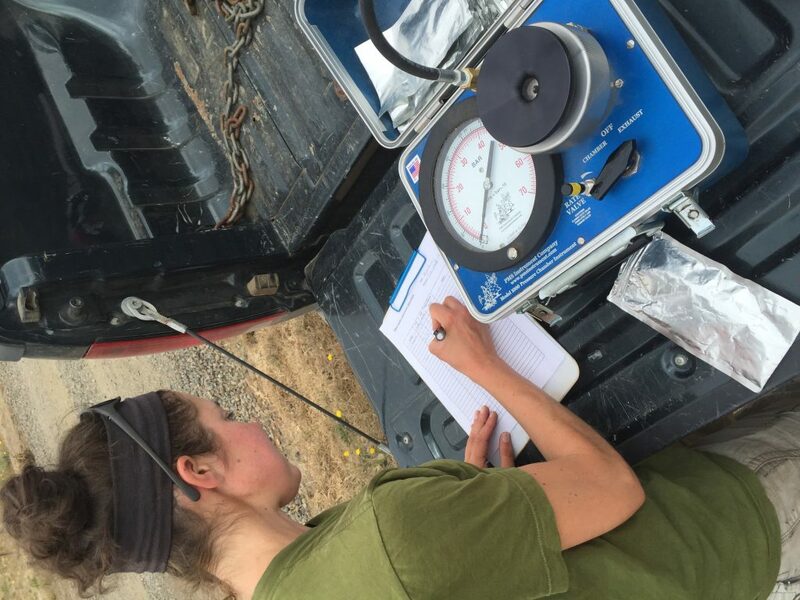 We collected plant samples in summer 2016 and will continue year-round sampling to determine the optimum time to collect leaf samples for determining nutrient levels in the trees, and whether or not there are deficiencies and/or toxicities. 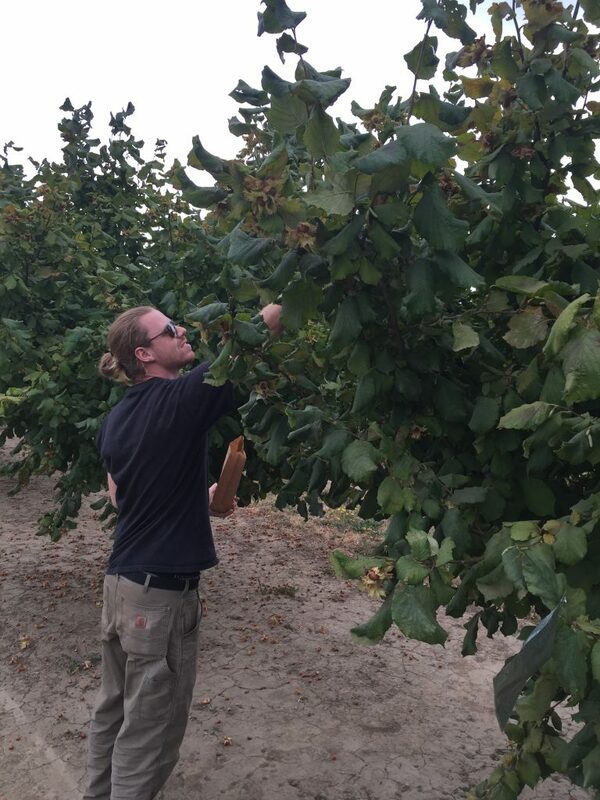 We are also interested in determining nutrient allocation for the different plant components, such as leaves, wood (1-year and current), nuts, and catkins. 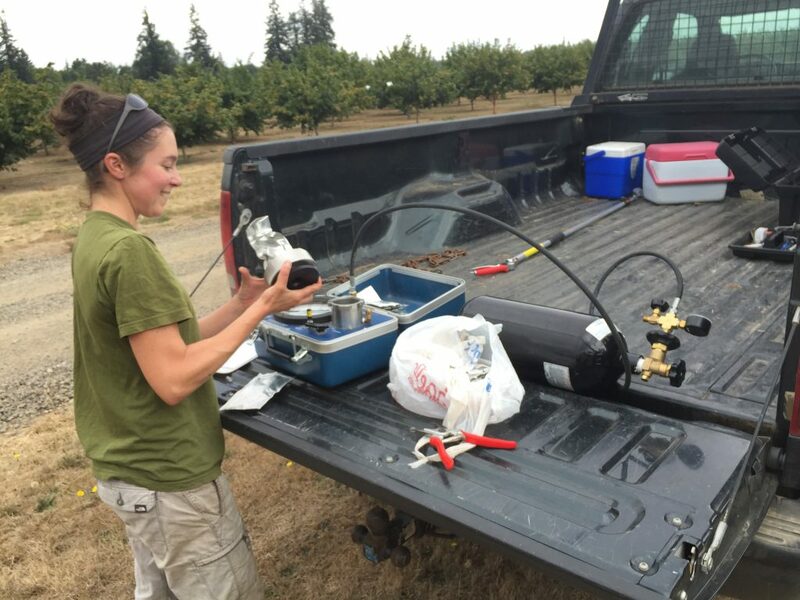 We will evaluate water stress of trees that differ in variety, age and irrigation management. Stem water potential is similar to measuring a tree’s blood pressure. It is a measurement of how much pressure is required to force water up through the stem of the leaf. Higher numbers indicate more pressure is required to push water out the of stem, which means greater water stress. 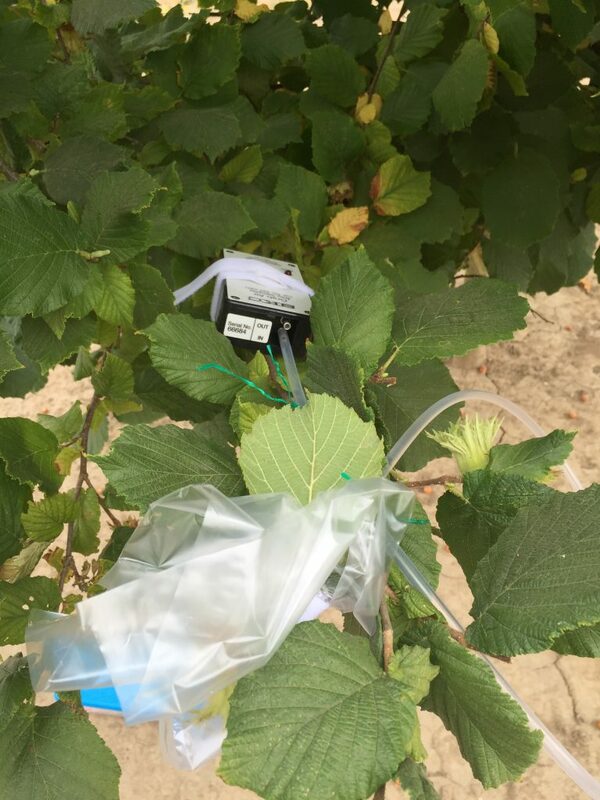 Recommended stem water potential numbers have not yet been developed for the new varieties of hazelnuts being planted, and our goal is to develop baseline recommendations for growers to use as indicators of irrigation timing. By accurately applying the optimum amount of water to enhance tree growth while minimizing waste, growers will be able to fine-tune their irrigation regime to maximize yields while minimizing the use and cost of water. Post-harvest nutrient sprays are thought to benefit tree health and increase yield in the following year. Yet, quantitative evidence is lacking to support this claim. In Fall 2016, we treated terminal leaves of ‘Jefferson’ trees with a stable nitrogen isotope: nitrogen-15. Most nitrogen found in the environment is nitrogen-14, but 15N is a rare stable isotope that has an extra neutron, and therefore can be easily identified in the lab. Tissue samples were collected 1, 2 and 8 weeks following treatment from nearby and adjacent branches on the selected trees. Additional samples will be taken in the early spring to study whether or not the trees stored 15N, and, if so, where. We will also evaluate the capacity of trees to redistribute the nitrogen in late spring and summer when growth is occurring.